Got shade? I absolutely love living in a neighborhood that has a lot of mature trees. The trees provide a wonderful canopy of shade that protects us from the hot sun. 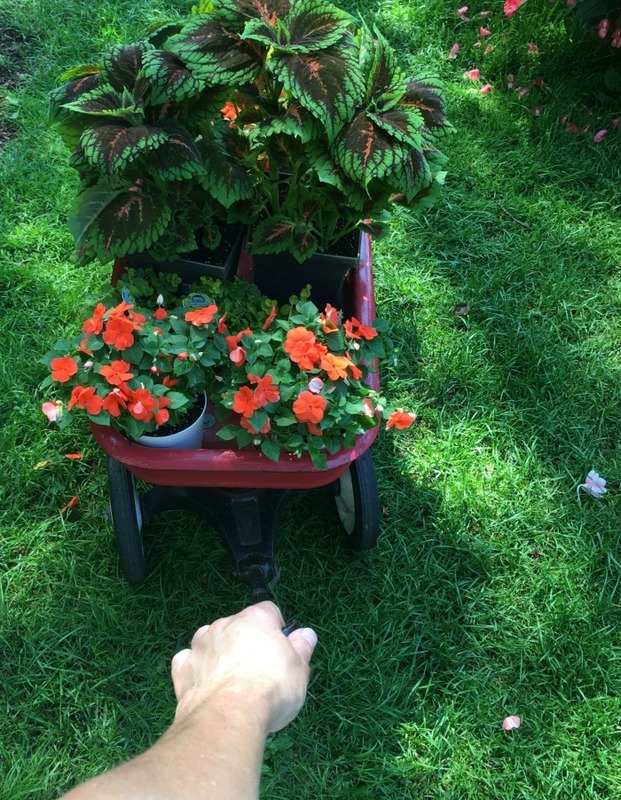 The only drawback to the shade is the inability to grow all the types of flowers that I want. I’ve got one spot on our property that gets full sun, however, it is being threatened by two small trees that are slowly stealing the sunlight as they branch out. I’ve already decided that this is their last summer. I’m not being heartless. I’d much prefer grass than the moss that is taking over the yard. 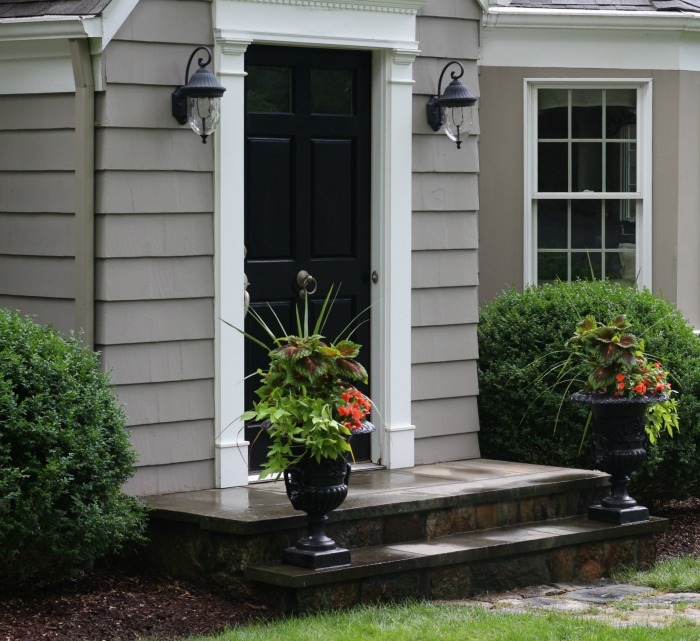 The front of our house gets part sun and we have two large metal urns flanking our front door. 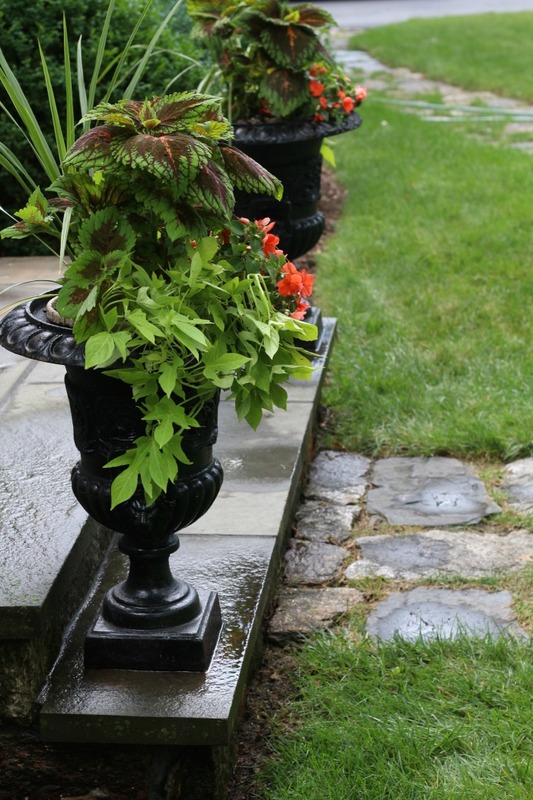 This spring, as I have done for a few years in a row, I started by planting ferns in them. Ferns love the shade and usually I let them ride all spring, summer and fall. But, within weeks I was bored because it felt like there wasn’t any interest to the front of our home. It needed color. I moved the ferns and replaced them with bright flowers and plants that thrive in the shade. 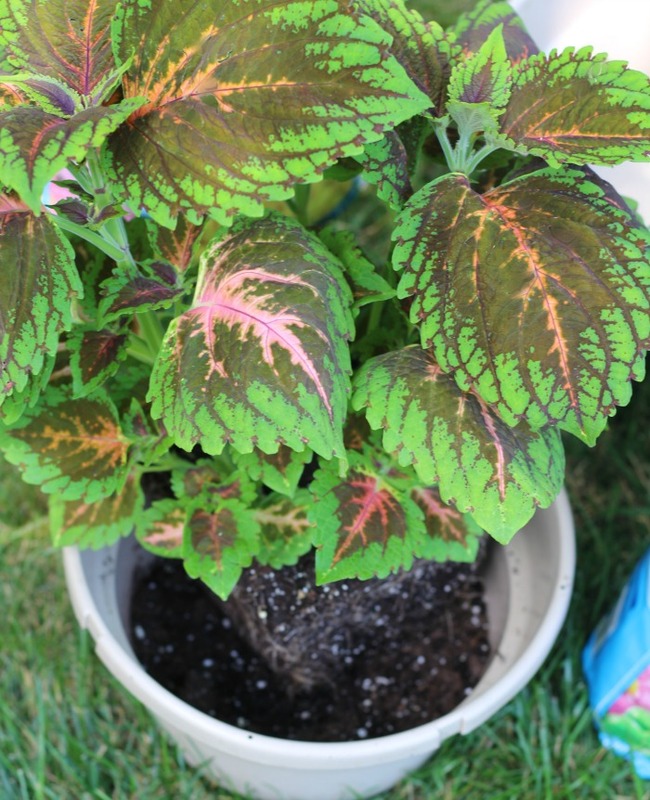 We’ve got a few other areas in our yard that get little sun and some of my favorite shade plants are hostas, astilbe, digitalis (foxglove), lady’s mantle, coleus, impatiens and begonia. 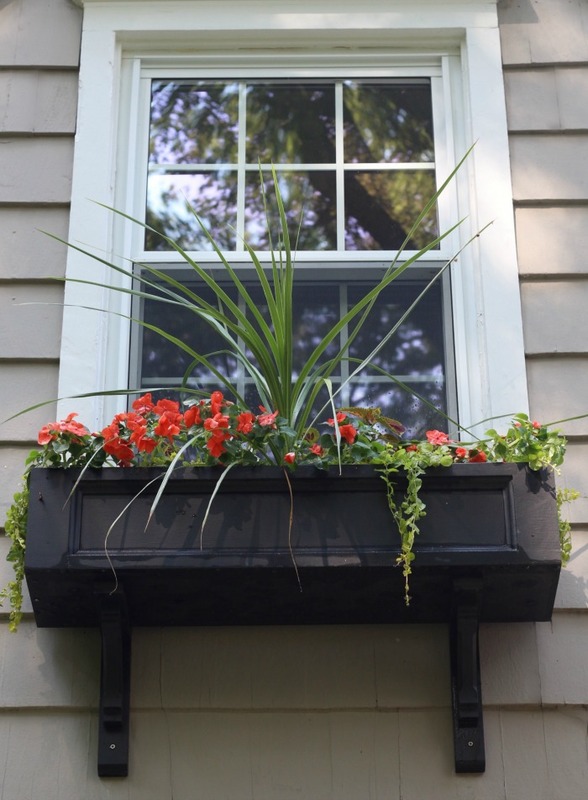 Yesterday, I spent an hour re-planting the urns in addition to a small window box on the second floor. 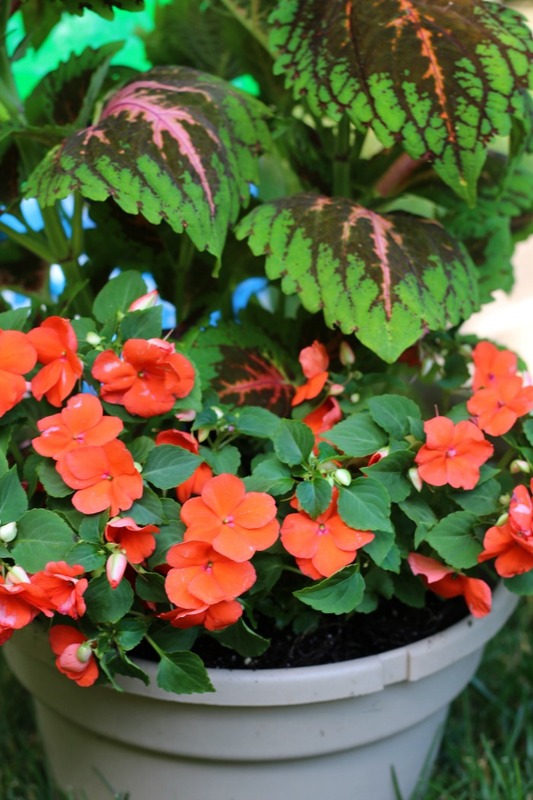 If you are facing a similar situation, I want to share my before and after photos and give you a few tips on how to plant shade flowers successfully. 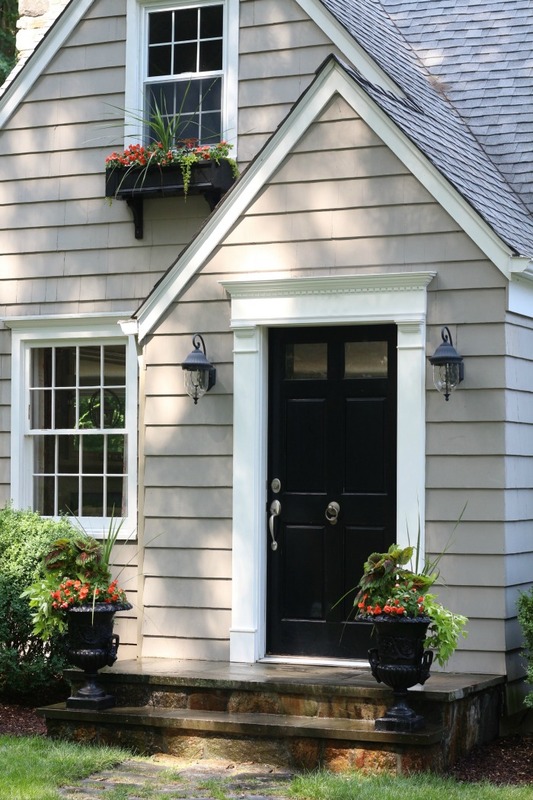 Tip #1 – Determine your color scheme. 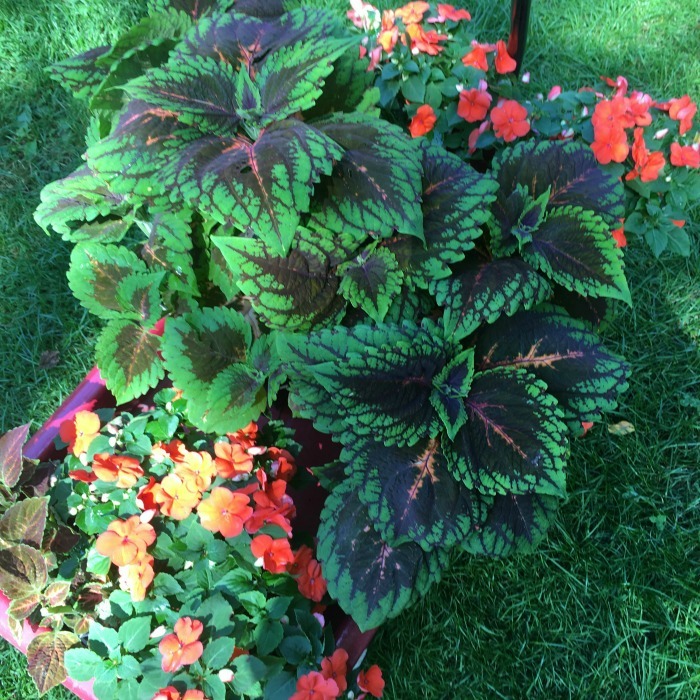 I love the orange vein in the center of theses coleus and paired them with orange impatiens. 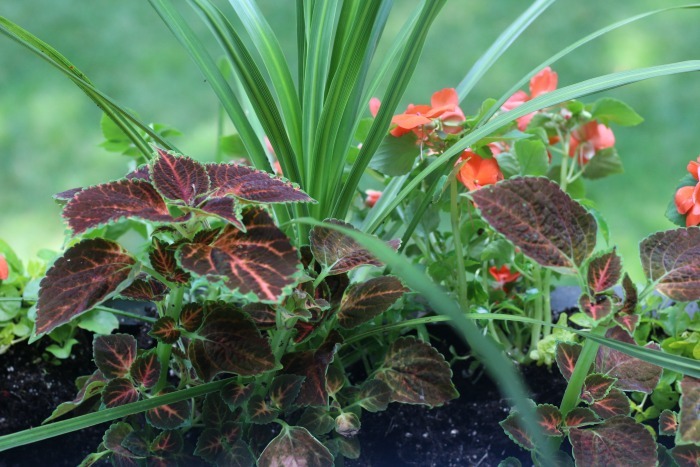 The tips of the coleus are chartreuse which led me to the light green sweet potato vine. 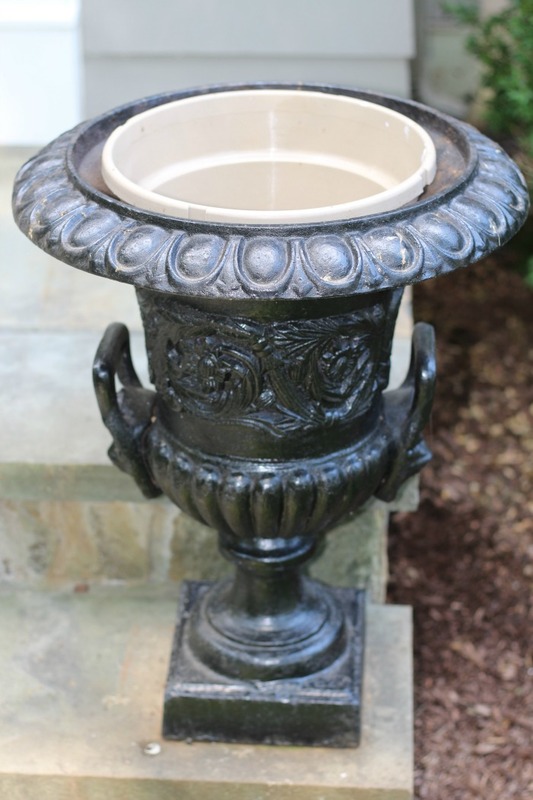 Tip #2 – Find a plastic pot that fits inside the planter/urn that you will use. 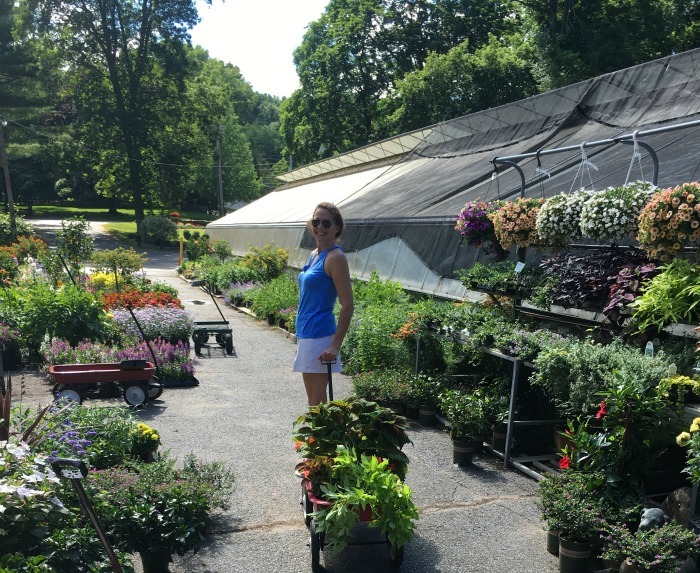 It is a lot easier to remove the plants at the end of the season. 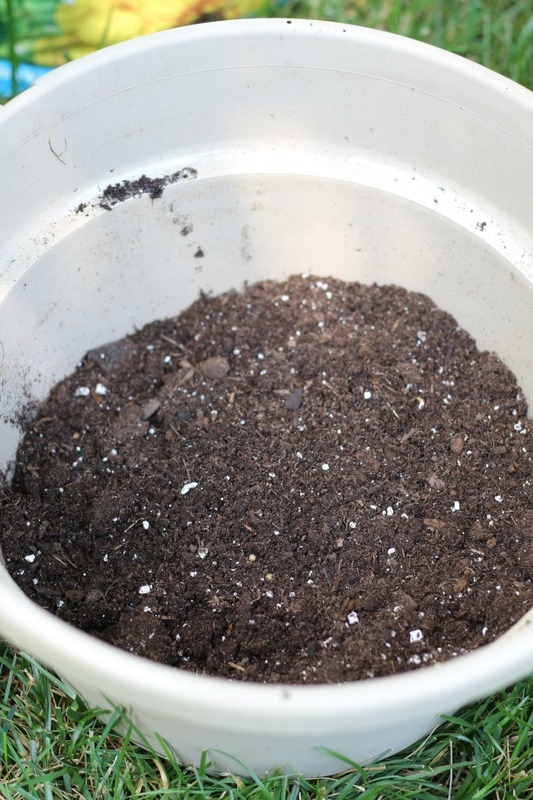 Tip #3 – Use Miracle Grow Potting Soil with Moisture Control. 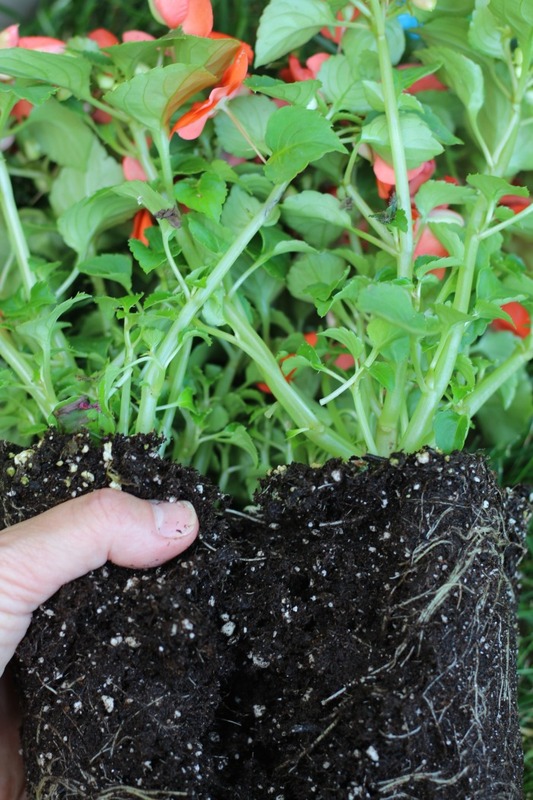 It feeds the plants and keeps them from drying out quickly. 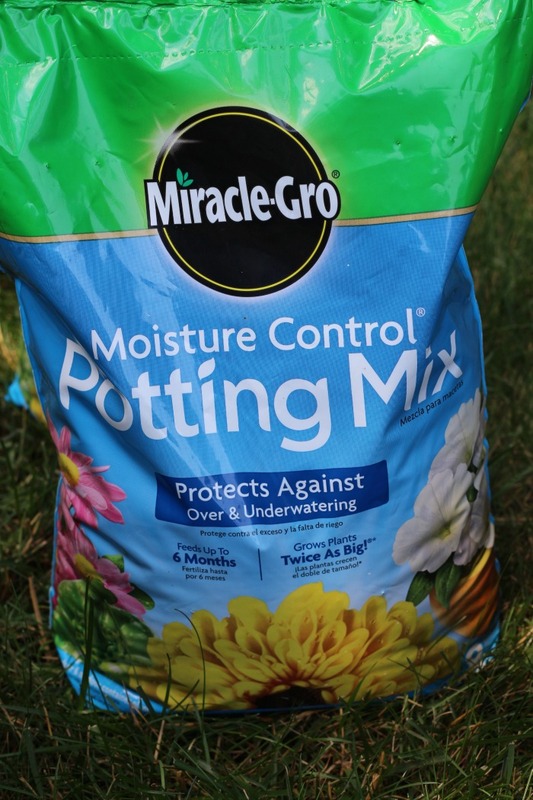 Prior to using this product, I was watering my plants daily, this soil stretches it to every 2-3 days depending on the weather and temperature. 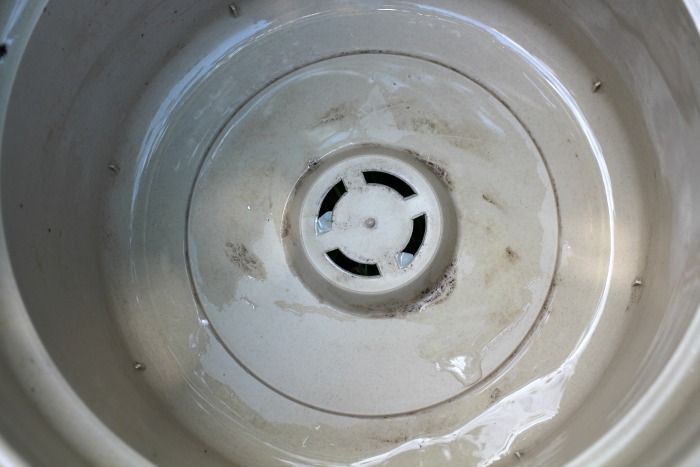 Tip #4 – Make sure that the plastic pot has drainage. If not, the water will collect and the roots will rot.